To resolve this problem, it is necessary to develop agriculture and improve the accessibility of the region. Food prices in Crimea not high because of international sanctions, but because of the backwardness of agriculture and the problems with transport accessibility. 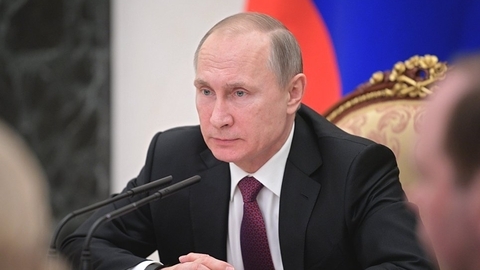 On 18 March, at a meeting with members of the public in Simferopol, said the President of the Russian Federation Vladimir Putin, the correspondent of IA REGNUM. "Income living in the Crimea citizens are not the highest, but the prices are quite decent. However, from its nearest neighbor — the Krasnodar region — they differ slightly... This is not related to sanctions at all, and with the level of development of agriculture of the Crimea. If viticulture develops, other areas of agriculture is not yet", — stated the President. According to him, for solving this problem it is necessary to improve the accessibility of the region. "I hope it will happen, when fully operational, the Crimean bridge, including the rail component. And the second thing to do — you need to actively develop agriculture. And here he needs to help. We have a variety of plans, we will move in this direction", — promised the President. As REGNUM reported earlier, President Vladimir Putin said in Simferopol that in 2014 in the Crimea made a lot of fundamental things, without which further development of the Peninsula impossible.